The Start Ups today have a big support from the Government of India when it comes to funding. Micro Loan Scheme, also known as MUDRA Loan scheme is an effective financial assistance option for new business ventures. It provides Loan Scheme with different categories and security to ensure timely availability of finances for businesses in need. Pradhan Mantri Mudra Yojana or Mudra works very well in the case of start-ups in the market. 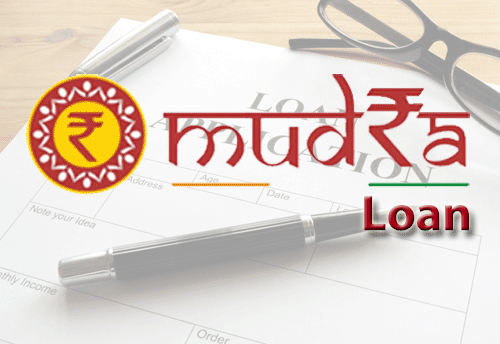 How Does MUDRA Loan Scheme Works? Shishu Scheme provides loan up to Rs 50,000. Kishor Scheme focuses on providing loans up to Rs 5,00,000 and Tarun Scheme focuses on bigger ticket size required for big operational requirements up to Rs 10,00,000. There are no hidden fee or charges on Mudra Loan and the repayment tenure is for 5 years. 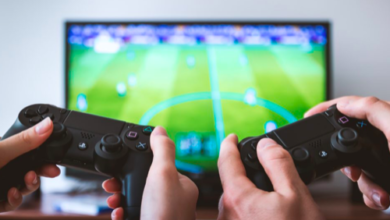 Any Indian Citizen with a detailed and structured Business Plan above the age of 10 for non-farming activity like manufacturing, processing, trading etc. Up to Rs 10,00,000 can be sanctioned for a Mudra Loan under the Pradhan Mantri Mudra Yojana. The Mudra Loan Scheme is strictly for the purpose of small scale businesses. You can check out your mudra loan eligibility online. The Loan Applicant can apply for a new vehicle, but not for personal use. That can only be used for business purpose. One can apply for the Mudra Loan Scheme online as well as offline. 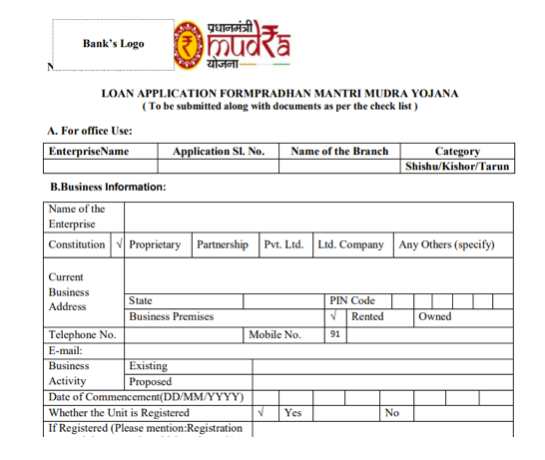 For online, one can download the Mudra Loan Scheme application form from the website. If you wish to apply for this loan offline, you can visit the nearest bank which is affiliated with the Mudra Scheme and ask for the application form. This is a common application form for the Mudra Scheme. 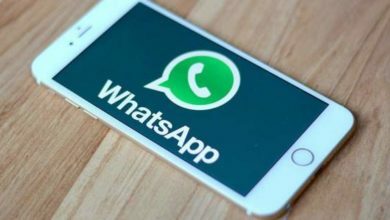 If one wants to fill a form for Shishu and other schemes separately, the financial institution can provide you with that as well. 2.Find the nearest institution which provides the Mudra Loan, so you can ask the bank for the form and fill it. 3.You can also add your detailed business plan along with the form. 4.Complete the other formalities and documentation as asked by the financial institution. 5.Once you submit the form, it will be reviewed by the bank and loan amount will be sanctioned shortly. The Interest Rate offered on the Mudra Loan Scheme is not fixed. It mostly depends on some of the financial factors of the borrower like the age, location of the loan applicant, CIBIL Score etc. The Interest Rate of MUDRA Loan Scheme also varies from bank to bank. 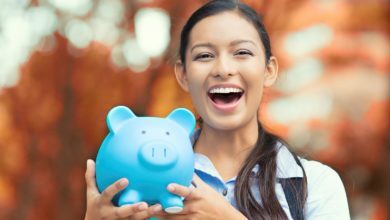 Every bank has their own eligibility criteria. Though there is no specific reservation that is there in the Loan Scheme, but the Government has mentioned that preference will be given to them. In a report recently published, it was observed that 74% of the Mudra beneficiaries were women, SC, ST and OBC availing at least 36% of these loans. For the purpose of easing the capital flow, the Government has also introduced Mudra Card along with the loan scheme. Mudra Loan Card has a lot of benefits that the borrower can avail. The Mudra Card enables the entrepreneurs to buy the raw materials, heavy machinery or tools for their business. 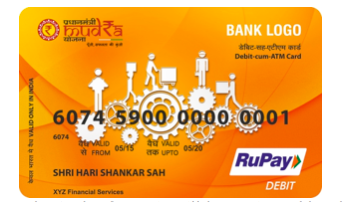 Mudra Card is a multi-purpose card and can be used across the country in the form of withdrawal of cash through ATM as well. This card will be linked to the Pradhan Mantri Mudra Yojana account, so one can withdraw cash whenever they want to. If you wish to start a new business, transportation might just be the right option for you. You can buy new vehicle like three wheeler, e-rickshaws, taxis but purely for the use of business and not personal. The shopkeepers and financial traders can also avail the Mudra Loan for the purpose of trading and non farming activities. The maximum amount that the entrepreneur can avail is up to Rs 10,00,000. Agriculture activities like dairy, poultry, food processing, crop irrigation etc. which generates income and encourages livelihood can be availed Mudra Loan for the growth of their businesses. Canteen or tiffin services, cold storages, food trucks or stalls, Food catering services etc can apply for a Mudra Loan. Handloom work, Chikan work, heavy embroidery work, Khadi work, handprinted clothing, printing and knitting are covered under the Mudra Loan Scheme. One can also opt for small business like salons, opening a gym, start a repair shop of bikes or big vehicles, Chemist shop, Dry Cleaning or tailor shop can be opened with the help of Mudra Loan. Mudra Loan is convenient and hassle free at the same time. 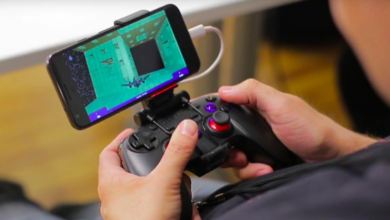 It has helped a lot of start ups and existing businesses in the past few years. It has encouraged the rural economy and gave them the access of the banking facilities like Mudra Loan. This loan caters to different sections of the society and helps in giving access to immediate funding for their businesses. To avail more details on Mudra Loan Scheme, one can contact on the below mentioned Toll Free Number: 1800 180 1111, 1800 11 0001.